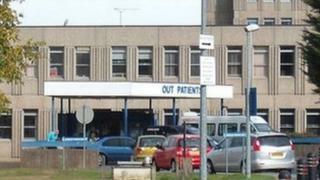 A hospital has admitted a number of failings in its handling of concerns about suspected asbestos exposure. A worker at the Royal Shrewsbury Hospital told bosses he believed asbestos panels were damaged in 2012. The hospital found his claims were not properly dealt with and "there was a case to answer" over allegations risk assessments were not performed. The Health and Safety Executive is investigating whether workers were exposed to asbestos. The hospital is also investigating "further matters of concerns", including allegations contractors were allowed to enter a unit "after the possible disturbance of ACM (asbestos contaminated materials)" and that a "potential exposure to asbestos" was not properly reported. Project manager Les Small, from Wellington, Telford, told line managers he believed damaged material around some pipes was asbestos. A month later when he raised the issue again and questioned why nothing had been done, he was dismissed. A tribunal later ruled he had been unfairly dismissed, stating he had been sacked as a result of making a public interest disclosure. Mr Small said of the latest findings: "It has exonerated me from the point of view of yes that is suspected asbestos but the disappointment from my point of view is that it has taken three years." Julia Clarke, director of corporate governance at The Shrewsbury and Telford Hospital NHS Trust, said its investigation found policies were in place but were "not always being followed". "There were a number of disciplinary hearings that took place as a result of the investigation," she said. She said actions had been taken "to ensure there is now a much more robust approach to asbestos management across the trust, including a revised policy ...making individual responsibilities much clearer".